Custom Wallpaper Printing | Choose from Many Designs | Canvas ETC. Custom Wallpaper – Printed On-demand Just for You! 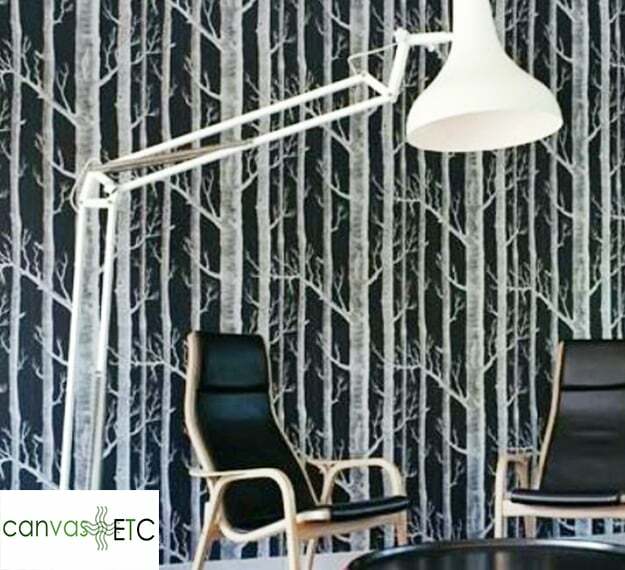 Custom Wallpaper is an ideal and relatively inexpensive way to add tremendous character and style to any room! As we are custom wallpaper creators and printers, we can provide custom wallpaper that is now available to you in a broad range of colors, patterns, designs and styles! We have what you need to make that special impact to any home decor. Whether you are covering an entire room, or simply wanting to accent a specific wall, you can select from our many and different styles, or even submit your own design for us to custom print. Just for you, and entirely on-demand! From plaids and animal prints, to modern abstract, geometric, nature-oriented and linear, wallpaper designs vary tremendously in style and substance. Interior designers often choose bold colors and designs within larger rooms that have neutral accents and color ranges. Simpler and “silent” patterns are better suited for smaller spaces like powder rooms and bathrooms. Interior Designers love that we are able to provide custom wallpaper on-demand to meet their discerning tastes, and to meet their clients’ unique demands. We encourage our many customers to consider ordering swatches of wallpaper with designs so that they can hang the samples first in the room to assess how they look, and before making the ultimate purchasing decision. If you have any questions or challenges and need to consult our experienced team of technicians, please email us at [email protected] We very much look forward to being your source for custom wallpaper and your Go-To custom wallpaper creator! Custom printed wall paper is non-returnable, so we highly recommend ordering wallpaper swatches to determine the correct texture and feel that you need before printing. Contact us before ordering a minimum of 54 square feet of custom made wallpaper for pricing discounts and to receive your custom quote. Note: Our fabric wallpaper is not backed so clear glue needs to be used – this may cause slight shrinkage. Apply glue/ adhesive to wall first when using fabric wallpaper. To review our many custom, on-demand printing services, please click thru this link here. For faster file uploading time, files less than 50Mb are recommended. Please ensure that files are in RGB colour mode not CMYK. Use a sRGB profile such as sRGB IEC61966-2.1 or similar for best results. You can always email our team at [email protected] your art/ design file and we can format for you. *Depending on the dimensions you use, we automatically calculate the amount of square footage required, all pricing is based on square feet. Order a min of 55 square feet for the best savings. Image size is longer so please be patient for upload. It may be best to both consult with and use a professional wallpaper hanger. It is, after all, what they do and you want the process to be exact. This process, however, can certainly become a rewarding DIY project, and one that would be pridefully on display as you enjoy the outcome and finished results from your very own efforts in wallpaper hanging. 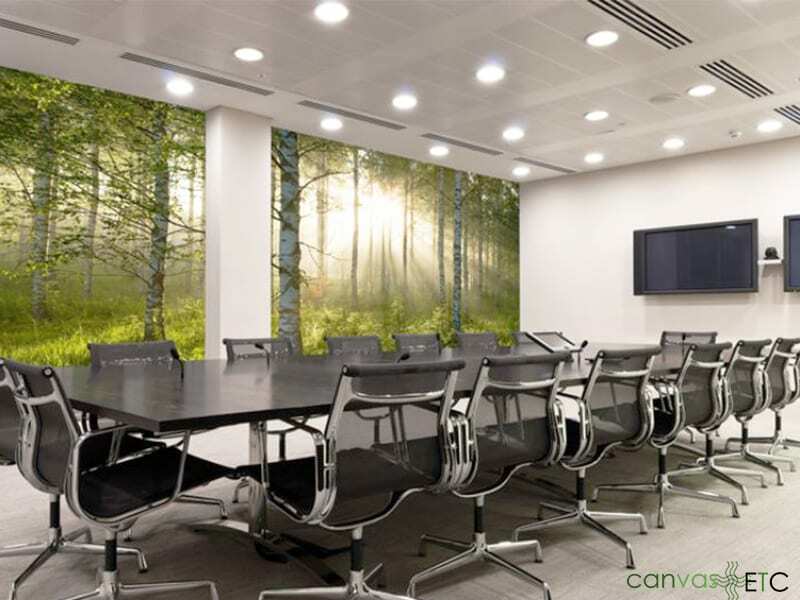 You can handle the wallpaper in much the same way as you would vinyl coated paper, but it is always best to not use tape on any image surface as this could very well peal back the images and damage the quality. Use Rowan Professional Heavy Duty Clear Pro 838 or another heavy-duty vinyl adhesive such as ICI Ultra Heavy Duty Clear 22643. It is always best practices to thickness test the paste. If necessary, you can easily think down with a touch of water. Be mindful not to add too much water, however, as this could very well counteract the tack and stickiness of the actual adhesive. Do avoid any clay-based pastes, as they are not recommended and can be much too thick and even dry way too quickly. If you are using fabric wallpaper (versus paper wallpaper), then it is very important to use clear glue as the fabric wallpaper has no backing. It also advisable to roll the adhesive/ glue on the wall and not the fabric when using fabric wallpaper as this could cause a slight shrinkage in the paper as the adhesive dries. Ensure that the wall surfaces are cleaned, dried and smoothed prior to application of the wallpaper. It is highly encouraged and recommended to lightly sand the walls. If necessary, make any and all repairs to cracks, scrapes and any other surface irregularity. We also highly recommend that you always seal the wall with a primer-sealer, and an oil-based primer sealer works perfectly. Cover Stain by Zinsser is one such product that has been used consistently and quite effectively. Oil-based primers not only seal the wall, but the wetness provides more and accurate time for the individual that is installing and smoothing out of the wallpaper panels. The wetness from the oil-based primer also allows for easy removal if the installation goes awry, and removal for accuracy is then needed. An acrylic option that makes for a good replacement in the event that an oil-based primer is not available is the Bulls Eye 1-2-3 brand from Rust-Oleum. It is well-advised to pre-dampen the wallpaper with a damp rag or sponge. Apply the water lightly and sparingly but use enough to cover the entire panel back and prior to applying the adhesive paste. Wait for 5-10 minutes after this step in the process. Apply a thin coat of adhesive onto the wall, and especially where the seams will meet (the extra adhesive ensures the seams bond well). Now is the time to apply adhesive evenly to the back of the wallpaper. Book the wallpaper (folding the paper onto itself) for 5-8 minutes. A common mistake made by the DIY wallpaper hanger is the failure to properly book the wallpaper before applying it to the wall. This can cause bubbles and wrinkles. The wallpaper booking time should expand the wallpaper panels 1/4 “ to 1/2” depending paste thickness and the room temp. Hang wallpaper panels using standard procedures. Line up mural panels in order. Level the first panel to ensure a straight line and proper pattern match. Use a smoothing brush or plastic squeegee to lay down panels. Smooth out air pockets. If persistent bubbles don’t go away, simply pop with a pin. Do not overwork the panels as this could cause tearing of the wallpaper. Trim the top and bottom of the panel. With clean water and a sponge, wipe down the wallpaper panel and dry with a towel. Avoid aggressive rubbing. Wallpaper panels require an accurate double-cut at the seams as the selvage edge makes this a mandatory step in the custom wallpaper hanging process. Ensure that you overlap the panels along the pattern match, then you can double cut. Gently remove the cut selvage edges, and now you can roll down the seam. Over-rolling the seams could take the color off, so ensure that this is not done. To reiterate, it is best practices to neither overlap nor double-cut your custom printed wallpaper. It is critically important that you do not use cleaners with harsh solvents, as they can damage plastic finishes. Instead, we recommend that your wallpaper be gently cleaned with a damp cloth. A softly dampened sponge also works very well, but be certain to only use the water sparingly. A great cleansing solution is a hand dish-washing liquid and slightly colder water. Starting from the bottom, clean upwards while very gently wiping all of the overlapping areas with and in a circular motion. You may want to have one sponge/ wash cloth that is slightly damp with suds first, and then have a 2nd damp rinsing sponge without the suds. After applying the suds and removing the dampness on the wallpaper, gently pat dry and to remove any excess surface moisture. Be certain to let this initial process dry completely if there are areas that need to be re-washed, and always avoid aggressive rubbing to ensure that you do not damage the custom wallpaper. Finally, gently remove residual cleaning suds or the solution with a dry cloth. Please do not upload a design, picture, or pattern that you did not create OR do not own, unless you have permission to do so. Reproducing copyrighted, trademarked or otherwise protected material is a violation of our Terms of Service. We encourage our many customers to consider ordering swatches of wallpaper with designs so that they can hang the samples first in the room to assess how they look, and before making the ultimate purchasing decision. 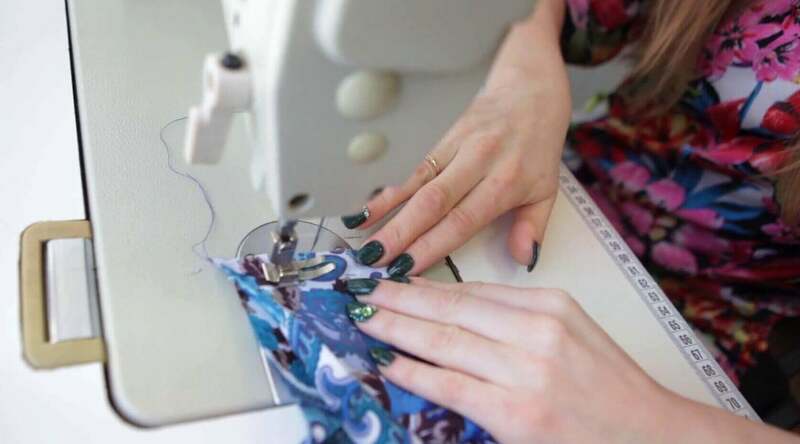 We don’t just stop with custom, on-demand wallpaper printing, however, as we also offer custom fabric printing on over 20 different fabric types. You can review and learn more about custom fabric printing by clicking thru this link here. To review other custom printing options, please click thru this link here.